If you have a demanding job and a busy social life, being able to effortlessly transition a day at the office to drinks with the girls is an important task. When you have plans after work, skip the cumbersome task of running home to change by wearing versatile clothing. Follow these three easy steps and your work attire will look seamlessly stylish for anything the night throws at you! Ensembles with layers offer a lot of versatility because you can remove certain layers to make your outfit more nighttime-friendly. Dresses make the best first layer because you can add clothing like cardigans and fitted blazers to make it more work appropriate. Dark jeans and a simple, sleeveless top are also a great option for the bottom layer. Depending on the weather, you can add scarves or a coat for the commute to the office. By having layers of clothing, you have more options and combinations of clothing to choose from for after hours. By simply changing footwear, your outfit can go from a day full of meetings to a night full of mingling. Flats and low-heel pumps are perfect fo r work, but sometimes you want to wear something with a little more glamour for a dinner date. The solution is to bring a pair of high heels with you to work. Once you get off, simply swap out your flats for a pair of your favorite heels. The devil is in the details, especially when it comes to a stylish night outfit. A few key accessories can do wonders to your day-to-day outfit. 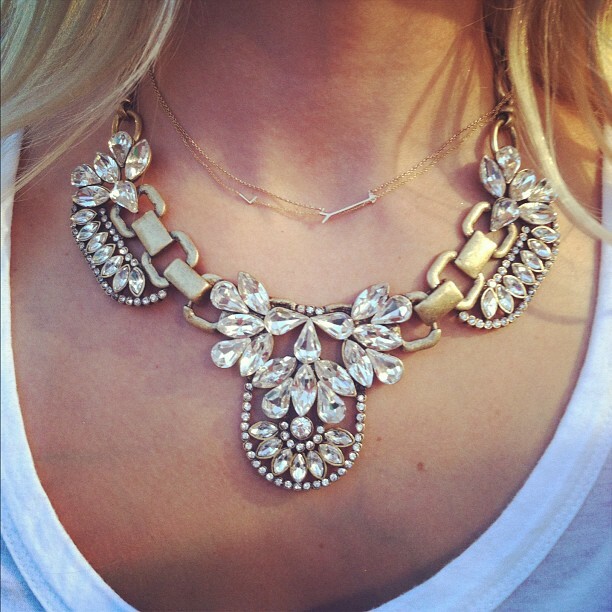 For instance, adding a statement piece of jewelry will, well, make a statement. Whether it’s earrings or a necklace, statement jewelry adds charm to your ensemble. Don’t limit your accessories to just jewelry. A studded clutch or a stylish hair clip will also up your night style game. Just remember layers, footwear and accessories. That is all you need to do to seamlessly transition your office look to a stylish outfit for nighttime plans!